Did you know that the latest research from Gallup finds 91% of workers who email outside of work say the amount is reasonable? That's right - employees and executives alike understand and accept that email is part of life now and emailing after work does not affect their well-being. That is good since 60% of workers say they check email outside of normal business hours. As you ponder that this morning, consider that in the banking industry regulators seem to be checking bank data outside of regular work - particularly when it comes to concern over commercial real estate (CRE) concentration risks. Regulators are again expressing concern that some banks may be overexposed to CRE, so it could be time again to take action as necessary to ensure your reporting, analysis and policies are all top of game. The FDIC noted in its latest issue of Supervisory Insights that on-balance sheet CRE loans have now surpassed the pre-crisis peak volume, reaching $2T as of Sep 2016. The FDIC also warned bankers that analysis it did using more than 20Ys of historical data finds community banks specializing in CRE have a failure rate 2.25x that of the average community bank. The FDIC reminds banks that the ability to withstand market volatility depends largely on the availability of robust capital and risk management practices. Meanwhile, the Fed's most recent Monetary Policy Report to Congress also underscores increasing concerns around CRE. The good news side of things is that the report points out that CRE debt is still modest compared with the size of the overall economy and that bank lending standards have tightened. However, the Fed noted risks still remain. Namely it pointed to heightened valuation pressures that have the potential to leave some smaller banks vulnerable to sizable CRE price declines. In addition, CRE loans on banks' balance sheets continued to grow in Jan and Feb, according to FOMC minutes. While regulators haven't implemented a specific concentration limit for banks, they are reminding everyone that risks are rising, so an ounce of prevention should be worth a pound of cure. The ABA reports regulators say key risk management components include: board and management oversight, portfolio management, management information systems, market analysis, credit underwriting standards, portfolio stress testing, sensitivity analysis and credit risk function review. We've written before about the importance of having strong loan review policies, but given the continued growth and risks associated with CRE, we felt it bears reminding. A good starting point is to re-read the specific guidance contained in the joint statement issued by regulators in Dec 2015. Beyond that guidance, we urge banks to keep their underwriting standards high. While it may be tempting to let one or two riskier deals slide in, the result is at best a slippery slope. Certainly, loosened underwriting standards have been a concern for some time, according to the OCC. Also, while some tightening has occurred, banks need to remain vigilant to ensure they aren't taking undo chances in order to make money. We also urge bankers not to rely solely on reports received from third-party vendors for the loan review process. If you are heavily reliant on a semi-annual loan review, you're setting yourself up for trouble. Even community banks need to keep tabs on all loans regardless of review frequency. No matter your team's position on reading emails after work, we hope all community bankers understand and focus on this elevated level of regulatory focus on CRE risk management. Yields jumped up 3bp as oil hit its highest price in over a month. 1) Berkshire Bank ($9.3B, MA) will acquire Commerce Bank ($2.2B, MA) for $209mm in stock or about 1.38x tangible book. 2) Union Bank & Trust ($8.7B, VA) will acquire Xenith Bank ($3.2B, VA) for about $701mm in stock. 3) SmartBank ($1.0B, TN) will acquire Capstone Bank ($511mm, AL) for about $84.8mm in cash (20%) and stock (80%). USAA said it plans to start charging banks a licensing fee to use its remote deposit capture (RDC) technology. USAA invented RDC and plans to charge a fee when RDC is used with mobile devices, desktop scanners and voice technology. No dollar amount for the possible fee was indicated. The Department of Labor said it will not delay the Jun 9 effective date for the fiduciary rule. The rule takes effect June 9 with specific disclosures and representations due to customers by Jan 1, 2018. Korn Ferry research finds the average age by title for the financial services industry (top companies by revenue) is: CEO (60Ys), CFO (54Ys), CIO (52Ys), CMO (53Ys) and C-Suite (54Ys). The new acting head of the OCC, Keith Noreika, says the regulator "could act on its own to give banks relief from the Volker rule." 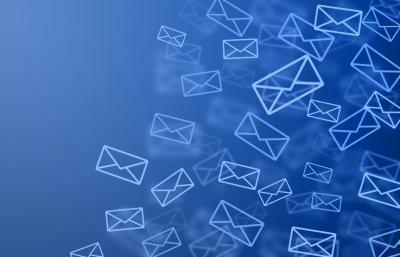 Cisco cybersecurity research finds spam accounts for 65% of total email volume. An ISACA survey of chief information security officers finds 75% of security professionals are confident in their team's ability to detect and respond to simple incidents.